Indigo Jersey Denim Wide Leg Jeans is rated 4.9 out of 5 by 27. Supersoft and super flattering, these premium pull on jeans are pure jean-ius! 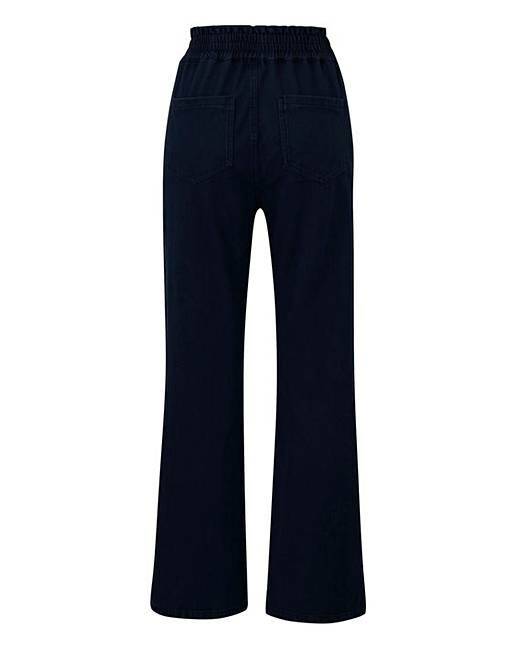 In an easywear jersey denim material with pockets and wide legs, style with wedges and a blouse to elongate your legs and frame. Rated 5 out of 5 by Din from Nice feel Nice fabric, a but heavy but falls nicely. Perfect length. Colour bled on first wash. Rated 5 out of 5 by Hetidare from Believe the hype! These trousers are SO comfortable! Usually pull on trousers for me are no good as I have to keep pulling them up. The waistband is snug and secure and everything about them is great. They are a lightweight material so great for summer. I love them and am so glad I went with the other reviews. Rated 5 out of 5 by Woody from Comfy jeans Bought one pair about six months ago and wanted to get some more then but was out of stock. Hence got two pair this time. Rated 5 out of 5 by Funkyfrog56 from Fantastic Jeans - Love Them! Excellent fit, perfect for people with Lipoedema, please do not get rid of these! I love them. Rated 5 out of 5 by Lorri from Superb fit Finding jeans that fit is always difficult as I have Lipoedema (huge legs and hips that keep growing) so I was delighted to find these. 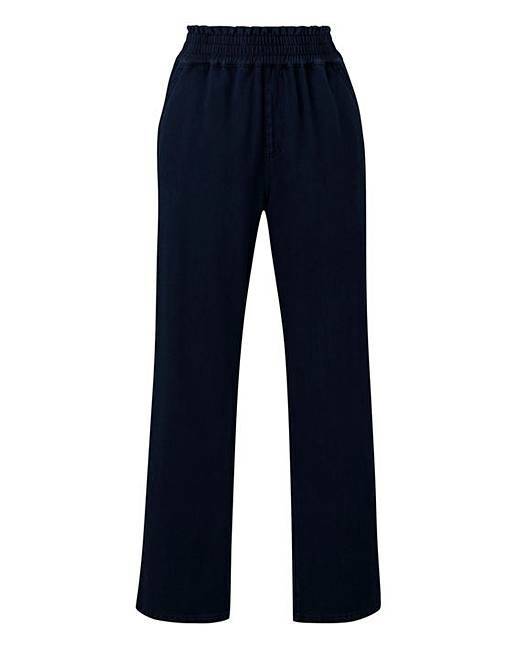 The wide leg and elasticated waist make these a perfect fit and super comfy. Only thing is I’m 5’ 4” and they’re far too long. Rated 5 out of 5 by Shmoo from Extremely comfy Truly "wide leg" without being "bootcut" (which looks stupid when you're not wearing boots". Comfortable waist, pockets as well. I wish they came in other colours (black, stonewash) and I'd happily have more of them. These are excellent, and long enough as well for a 31 inside leg.